Hi everyone! 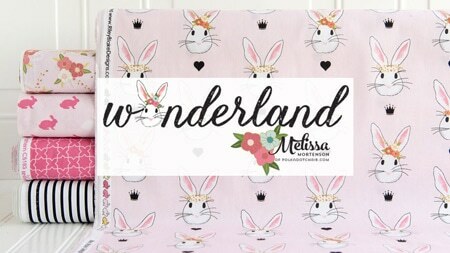 I’ve been waiting to announce a fun new quilt along coming late Spring. 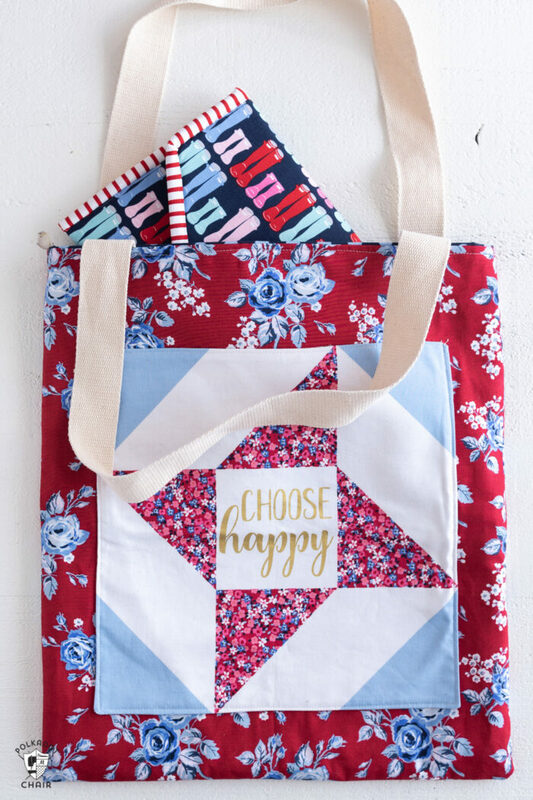 I didn’t want to say anything until we had all of the details ironed out but word of mouth has spread a bit more than I was anticipating and I’ve been getting a lot of questions about the Let’s Stay Home Quilt Pattern. The Let’s Stay Home Quilt was designed to compliment my new fabric line Fox Farm from Riley Blake Designs. 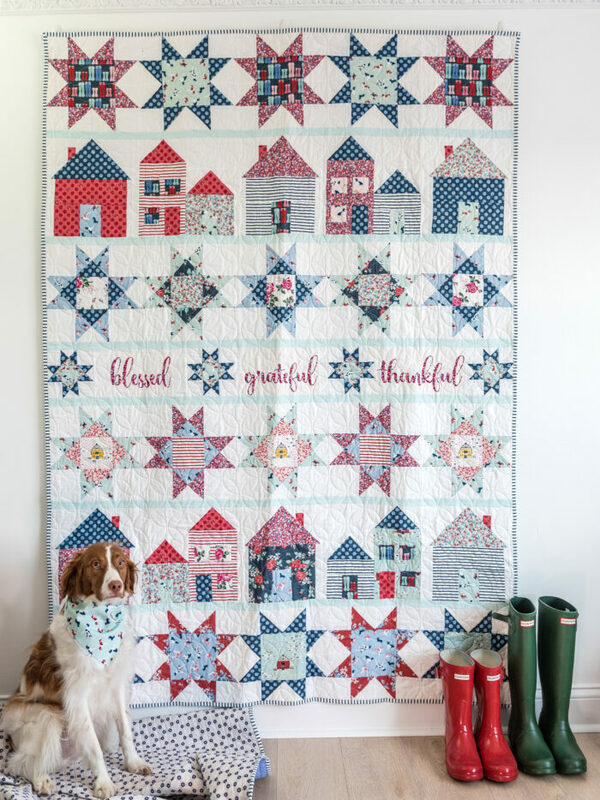 I’ll share an entire post JUST about Fox Farm later this month but for now, I wanted to tell you a bit about the quilt! 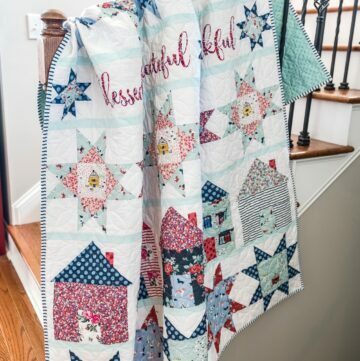 The Let’s Stay Home Quilt is a simple row quilt which features a combination of Star and House Quilt blocks. 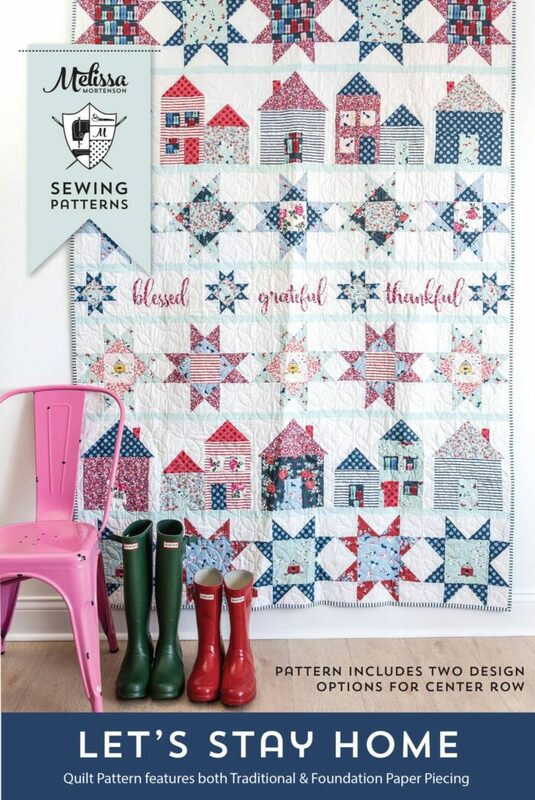 The pattern is both traditionally pieced and Foundation Paper Pieced. 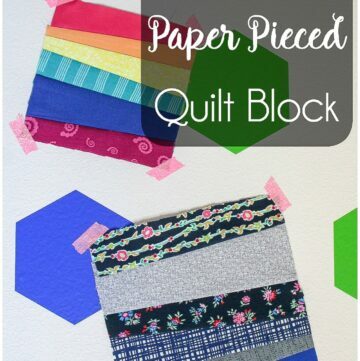 If you’ve never foundation paper pieced before DON’T worry, these are beginner blocks. If you’ve not tried Foundation Paper Piecing before it will be a good opportunity to try it out to see if you like it. 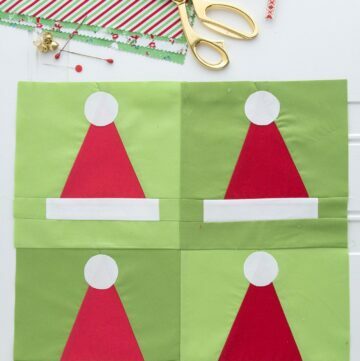 I’ve filmed a series of videos with Fat Quarter Shop for the pattern so I’ll be able to walk you through constructing the quilt step by step. The quilt incorporates some of the word blocks from the panel that goes with Fox Farm. You just cut them out from the panel and sew them into the quilt top. If you don’t have or can’t get the panel, I do have a 2nd option available for that row of the quilt that is traditionally pieced. When Will the Quilt Pattern be Available? When we announced the quilt along we just said “Spring” since you never quite know when fabric will arrive. 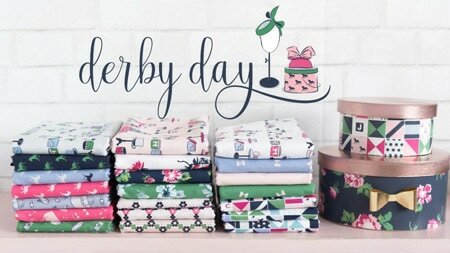 It looks like some of you have your fabric and I’m so glad you are excited! Not everyone has their fabric yet (I don’t even have mine yet!!). We have to give it time for the fabric to get from the warehouse to the shops to you my readers! If I start the quilt along before everyone has time to get their fabric I’ll get SOOO many emails LOL! I’m going to be releasing the pattern on April 10th. It will be in PDF format and in Print format. I’ll ship the print patterns via flat rate priority mail. If you are a shop and want to have the pattern for your store, you can order them from me, Christensen Wholseale or Checker. When will the Quilt Along Start? The Quilt Along will start Mid-May. I don’t have an exact schedule yet (again waiting for fabric to arrive) but as soon as I have the schedule I’ll share it with you! 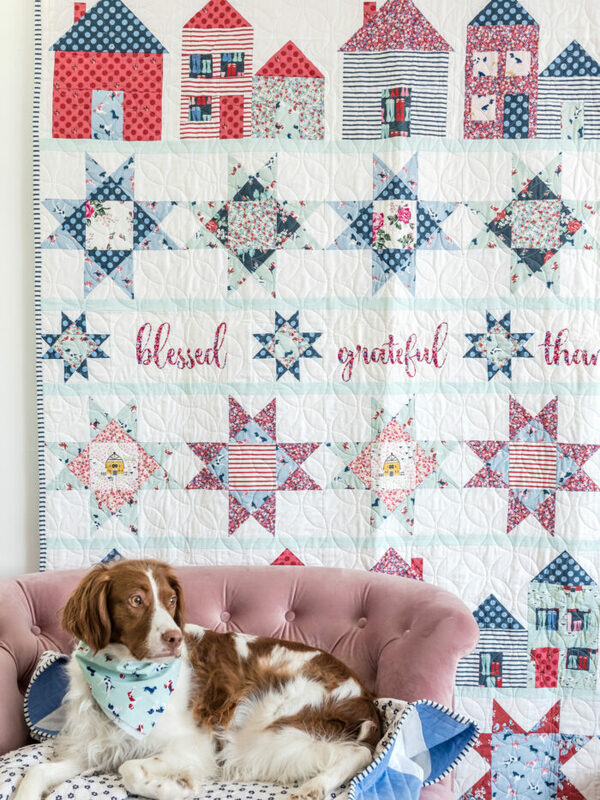 Riley Blake is making kits for the quilt and they are due to arrive in May. The kits will be sold though fabric stores. I’m not carrying the kits. 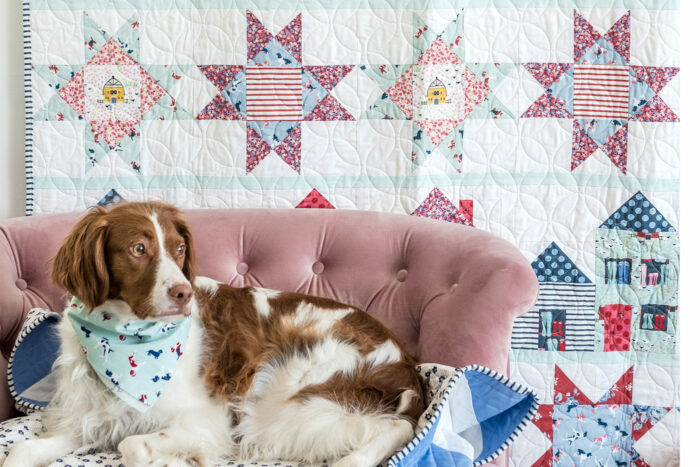 If you buy a Riley Blake Packaged quilt kit it comes with the pattern. I’ll also be sure to share when the videos are available for the quilt along as well! How long with the Quilt Along Run? The Quilt Along will run for 6 “posts”. They will be spaced out every 1-2 weeks to allow you plenty of time to “sew along”. I don’t want to rush it so much that anyone feels like they are “behind”. No, I know that some of you LOVE prizes! I also know what my limitations are for managing things LOL!! I don’t want to let anyone down and not be able to fulfill a prize on time, so this time we are not doing prizes. Maybe in the future. If you share on social media (and I LOVE it when you do), use the hashtag #LetsStayHomeQuilt and tag me @polkadotchair. I love to share your progress and completed projects on my insta stories so everyone can see! Again, I’m so glad you are excited and I can not wait to share with you everything that I’ve been working on! I have always wanted to make a quilt with houses that look beachy. This looks so wonderful. Do you have an Idea of the materials amounts, cost, size etc. or did I totally miss that information? I could have. I loved your nice covers with pockets too. Just too cute! I put my feeble attempt in on the group project site but I could not think of a thing lol. 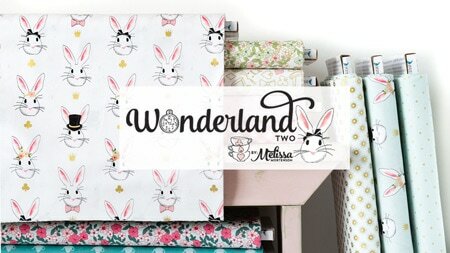 I love how supportive Flamingo toes site is with nice quilters sites. 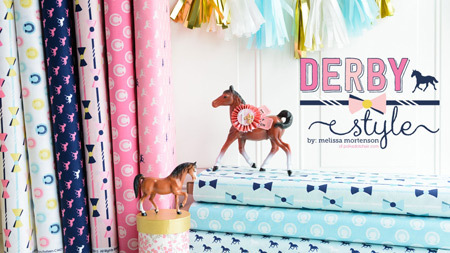 I LOVE this design and your fabrics. Cant wait to get started!!! Will the kit be available to purchase online if our local quilt shop doesn’t carry it? 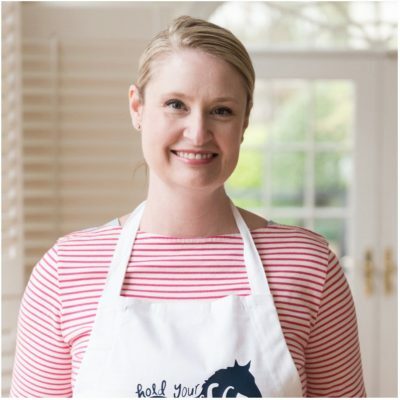 Yes, there are online shops that will have the kit.